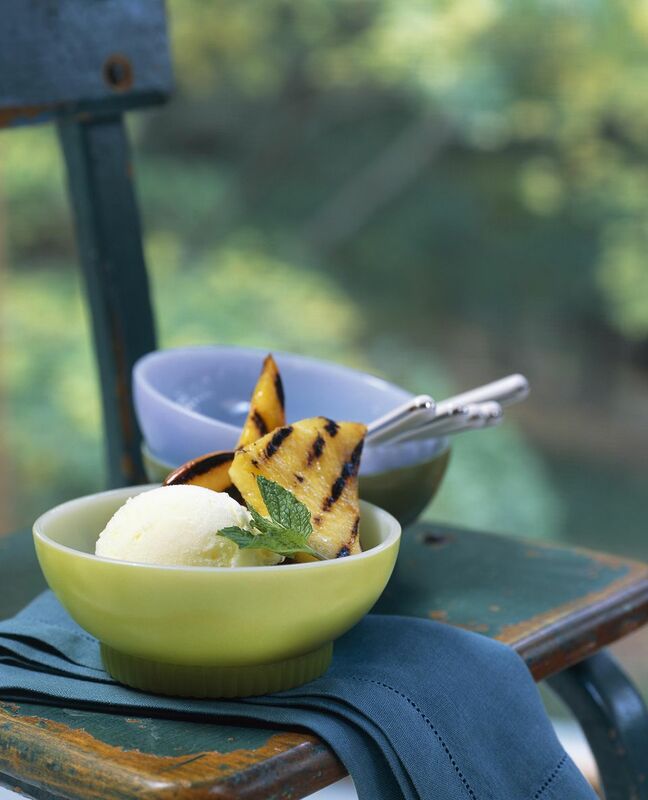 This grilled pineapple sundae not only makes a delicious dessert but a spectacular dish to grill. Quick and easy, it'll impress your guests and leave plenty of time to socialize. Serve this with a generous scoop of ice cream and warm caramel sauce. 1. Combine brown sugar, butter, lemon juice and cinnamon and mix until even. Brush mixture over pineapple slices. 2. Place pineapple slice on preheated grill over a high heat and grill for about 1 minute per side or until browned. 3. Remove from grill and immediately top with a scoop of ice cream and serve. These are best if the pineapple is warm when you eat it.